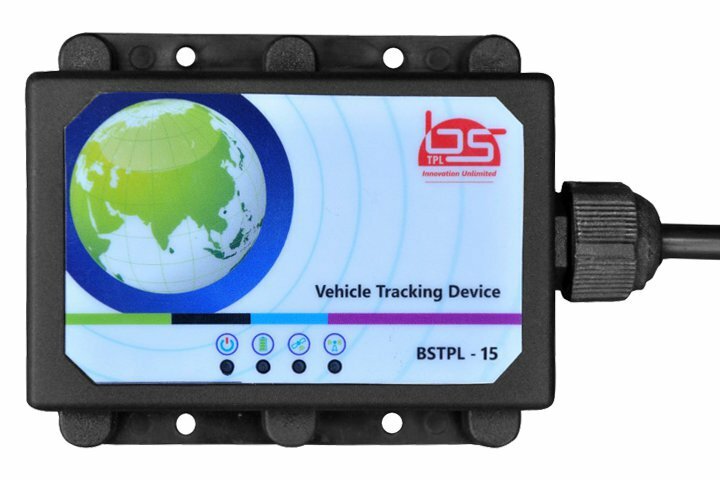 BSTPL-15, Vehicle Tracking Unit is a compact, rugged and most advanced Vehicle Tracking Unit made with combination of GSM/GPRS and GPS technologies. Built with most advanced 32 Bit; Cortex M0 Microcontroller, BSTPL-15 provides additional advantages to customers with One Digital Input, One Analog Input, One SoS Interface and Accelerometer in addition to providing location details. With built in high quality GSM Module, BSTPL-15 supports all the 2G GSM networks operating on 850/900/1800/1900 MHz frequency and supports Class 12 GPRS. Highly sensitivity GPS module with 33 Tracking and 99 Acquision Channels with -167 dBm gain provides accurate location data in toughest and difficult conditions. Easy to install, BSTPL-15 provides highly reliable and accurate data to customers like Location Information, Speed, Direction, GPS Odometer, Alerts and Other IOs related information. Supporting wide operating voltage (DC 7V to 40V), BSTPL-15 has provision for 3.7V Li-Ion internal battery with built-in charging mechanism and uses a rugged ABS plastic enclosure meeting IP65/67* standards with built in GSM and GPS antennas. BSTPL-15 provides various alerts related to vehicle like Main Power Connection / Disconnection, Ignition ON/OFF, SoS Status, Over Speeding, Harsh Breaking, Harsh Acceleration, Harsh Maneuver and Box Open / Close conditions. BSTPL-15 hardware is designed with low power consumption for long battery backup. This will also minimise the draining of vehicle battery when the vehicle is idle for long time. BSTPL-15 also supports Sleep Mode feature which reduces the power consumption to less than 10 mA. 2 MB External Data Flash.